Mice can cause a lot of structural damage to homes they invade. They continuously chew in order to prevent their front incisors from overgrowing, and they will chew on and damage pipes, wires, insulation, flooring, and drywall. Rodents can be very difficult to fully remove from your home! Our Intrastate team will seal the cracks and holes outside your house and make sure your home is secure against pest intrusion. 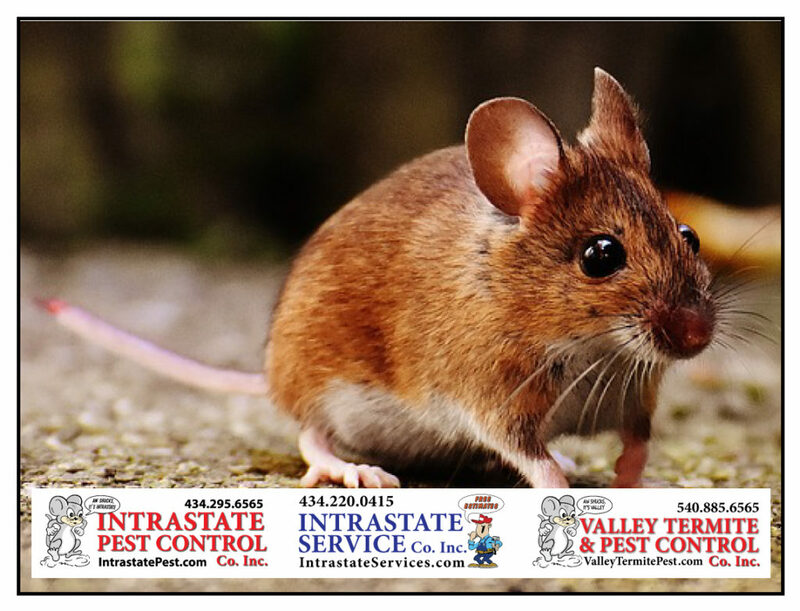 Intrastate Pest & Service Co’s will protect your home against pests! Call Intrastate Inc. today: 434-295-6565!